As per the memorandum of procedure, Law Minister Ravi Shankar Prasad had written to Justice Thakur to name his successor in November. Justice Thakur responded on Tuesday by naming his number two as the next CJI. 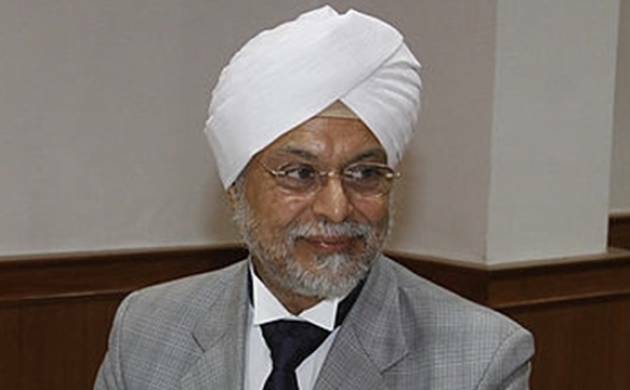 Justice Jagdish Singh Khehar, who led the five-judge constitution bench in the Supreme Court which had struck down the controversial NJAC Act for appointment of judges, was today recommended as the 44th Chief Justice of India. Chief Justice of India T S Thakur on Tuesday wrote a letter recommending the name of Justice Khehar, who is the senior most judge of the Supreme Court to be his successor. Justice Khehar, 64, will be the first Chief Justice from the Sikh community and he will succeed CJI Thakur who will be demitting office on January 3, 2017. Justice Khehar, who will be sworn in on January 4, will hold the tenure for over seven months till August 27, 2017. Besides heading the bench in NJAC matter, Justice Khehar has also headed a bench which had set aside the imposition of President’s Rule in Arunachal Pradesh in January this year. Justice Khehar also headed a bench which recently gave a significant verdict holding that the principal of ‘equal pay for equal work’ has to be made applicable to those engaged as daily wagers, casual and contractual employees who perform the same duties as the regulars. While the turf war between the judiciary and the executive over the appointment of judges for higher judiciary has intensified, Justice Khehar on the occasion of Constitution Day on November 26 had responded to the tirade from Attorney General Mukul Rohatgi by saying that the judiciary was working within its “lakshmanrekha”. “Judiciary is mandated to shield all persons, citizens and non-citizens alike, against discrimination and abuse of State power. Liberty, equality and dignity of citizen have flourished substantially in India due to the pro-active role of judiciary in the country,” he had said.